Love them or loathe them, the British monarchy has for hundreds of years been intimately linked with London. 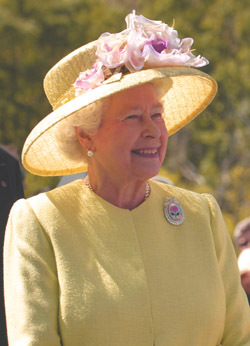 Twenty-first century Britain is largely divided over whether it is in the country's interest to retain the monarchy. The monarchy's popularity has been steadily declining in recent decades and most of the younger generations have little regard for the Royal family, raising questions over how long it can exist in a rapidly changing world. There is no doubt that in the past some monarchs have introduced great changes to the country and the nation benefited from their rule. But in the past kings and queens took an active role in ruling the country. Other monarchs were decidedly cruel to their subjects. Nowadays however, the UK would certainly function well without a monarchy, just as the many democratic republics around the world do. The future of the monarchy, while not yet a pressing issue for the nation may one day boil down to a simple cost-benefit analysis. The monarchy used to be far more popular in the past. During the first half of the 20th century, the Royal Family enjoyed a status similar to today's celebrities and film stars. Since then British society has undergone a number of successive transformations and the Royal Family's popularity has largely eroded away. It is ironic that the most popular member of the Royal Family by far was Princess Diana who publically criticised it and who sadly died in what some people believe to be suspicious circumstances. See the London History section for more history.